Allan Domb wants to drop DROP — for new non-union employees, at least. The at-large City Councilman is introducing legislation on Thursday that would curtail the reach of the city’s costly and contentious Deferred Retirement Option Plan. 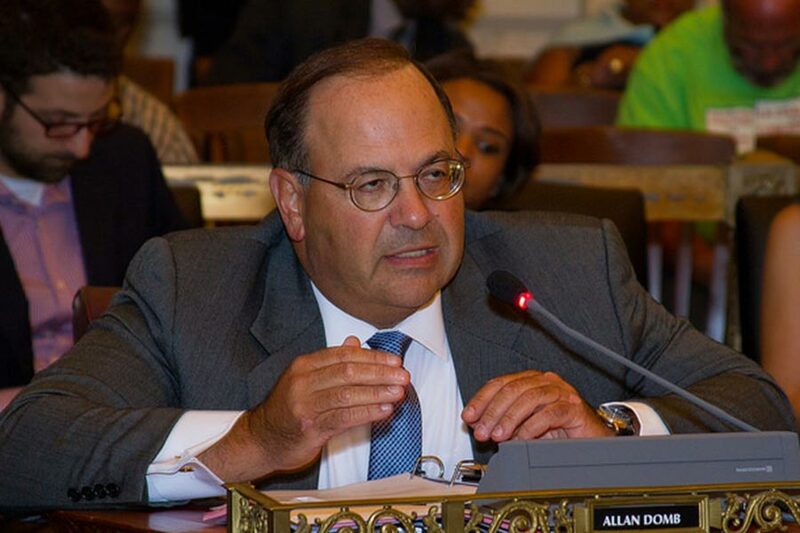 Specifically, Domb’s bill would end DROP enrollment for new municipal employees who are not represented by a union. The legislation is part of a long-term goal to end DROP altogether, Domb said in a phone interview this week. Doing so, he said, will help alleviate the city’s severely distressed pension fund. Some background: DROP, which reporter Ralph Cipriano analyzes at length in the October issue of Philadelphia magazine, began in 1999 as a program designed to help the city retain veteran employees and plan for their retirements. Under DROP, municipal employees set a retirement date up to four years in advance. The moment they enroll, their pension levels are frozen, and from that point, they receive their regular salaries and begin accruing pension payments in an interest-bearing account. They receive the total of that account as a lump sum upon retirement — after which they begin collecting their full city pension. Fierce public backlash to DROP — specifically its use by elected officials — played a role in the 2011 defeat of four-term incumbent City Councilman Frank Rizzo Jr., as well as the decisions of several City Council members not to run for reelection around that time. Philadelphians were outraged that officials who’d enrolled in DROP were allowed to retire for a day at the end of their terms, collect huge cash bonuses, and then, if they’d won reelection, go right back to work. As a result of the 2011 firestorm, elected officials are no longer eligible for DROP, but the program remains open for all other municipal employees. Between 1999 and April 28, 2018, the city has awarded to more than 12,400 employees a total of $1.5 billion in DROP cash bonuses (an average of $122,359 each). That sum has no doubt contributed to the pension fund’s current $6.2 billion shortfall, for which taxpayers will be ultimately on the hook. Still, it’s important to note that new, non-union hires represent only a small percentage of total DROP enrollees — though it’s not clear how many, exactly. A city spokesperson did not immediately respond to an inquiry. In a press release, Domb said that the city has hired 1,140 DROP exempt or non-union represented employees since 2016. Domb said his legislation stops short of unionized employees because their DROP benefits are negotiated through their contracts with the city. For its part, says Kenney administration spokesman Mike Dunn, the city is committed to “significant pension reform” and aims to boost the funding of the pension system to 80 percent by 2030, in part through new contract negotiations, including with the city’s two largest non-uniformed unions, District Councils 33 and 47. If Domb’s bill were to pass, it would go into effect on January 1, 2019, meaning employees who are hired after that date (and again, not represented by a union) would no longer be eligible to participate in DROP. This story has been updated to include information about the city’s pension reform plan.